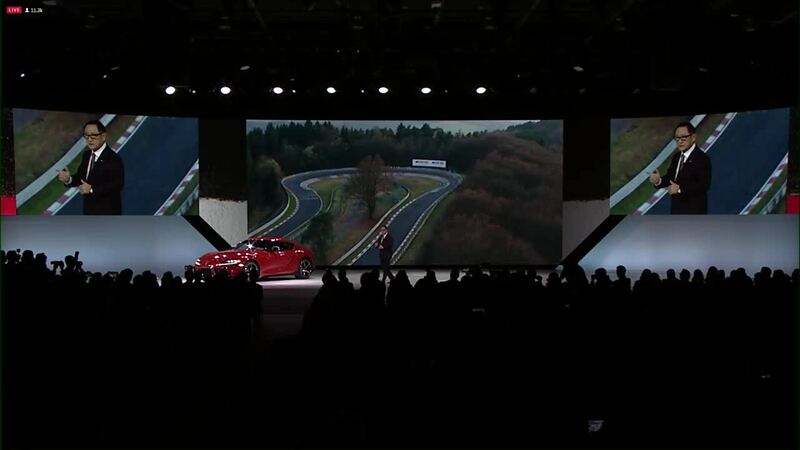 COBO CENTER, Mich. (WXYZ) — Toyota made splash at the North American International Auto Show with the global debut of the 2020 Toyota Supra. At the debut, Toyota executives called the new Supra "the worst kept secret in the industry." The sports car is returning to the market for the first time in more than 20 years. The Toyota display at Cobo Center will include a driving simulator which will allow visitors to experience driving the Supra. After making its debut at the NAIAS, the first production Supra will be auctions off at the Barret-Jackson auction in Scottsdale, Arizona.